Home » Posts » NCCA » Juggling and drumming. 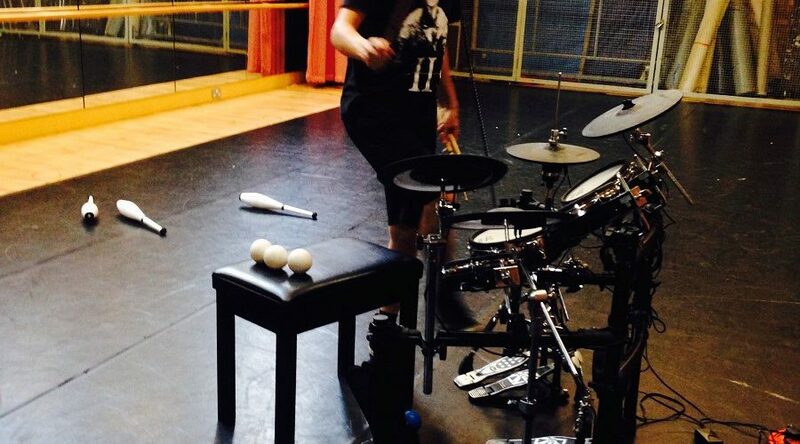 A new project for Ben & Fred: Juggling and drumming. 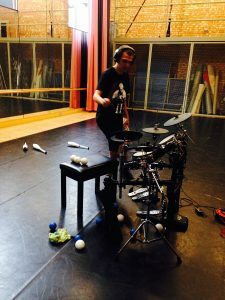 This was done as part of Lab:time with the National Centre for Circus Arts and was an exploration of how drumming and juggling can be combined. There is an inherent rhythm to juggling which one can choose to stick to or totally ignore and this project is the first step to seeing how this can be turned into something of a performance. See Frederike’s page for more photos of the research.